This cemetery can also be reached by taking SH 5 north out of McKinney to CR 278 east. This area was the community of Trinity. According to Capt. Hall, it was the second oldest settlement in Collin County. It was started by Leroy Clements in 1842. Clements Creek, which ran through his property, was named for him. Eventually several Clements (Clemmons) families settled in the area. A school was established in the area in 1870 and called Trinity. 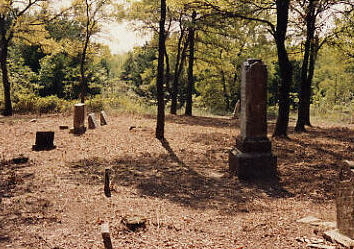 The cemetery is on the John Orenduff homestead. William Orendoff came to Collin County from Kentucky in 1855. Some members of the family spell their name "Orendorff." The cemetery deed is for 2 acres of land with the deed listed in Vol 78, p 320. There was a fence at one time. The area is heavily wooded. Several family plots are fenced off. A chair has been carved from a tree stump on the east side of the cemetery. It is said that a family lost a baby. The mother spent so much time at the baby's grave that the father made a chair for her. There is also a deed listed under the name of Willow Wild Care. This cemetery has been greatly vandalized in the past. There was once an entrance on CR 338. It was closed off because people were using it to dump things. Access is through the residential properties to the north of the cemetery. 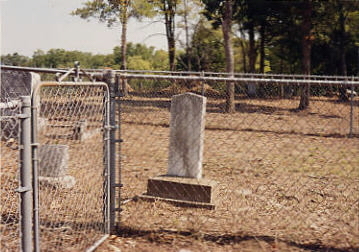 The cemetery was cleaned by the Sheriff's Dept. and Boy Scout troops many times. There is a Cemetery Association.